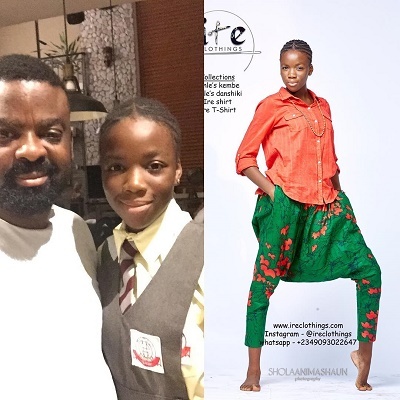 Darasimi, the daughter of Nollywood filmmaker, Kunle Afolayan is growing up very fast. She dazzled in her Dad’s Ire Clothing line outfit, ‘Kembe’ as she turns 12 today. “And …Darasimi is 12. Grow in Wisdom, knowledge and understanding. Happy birthday daughter,” the producer of ‘The CEO’ captioned the photo on Instagram.